Hops & Crafts first opened its doors on 12th Ave on July 4, 2013 featuring 36 rotating taps of local and regional craft beer selections along with pint sales, growler fills and an assortment of shareable pub fare. Craft beer means something different to each beer lover because each individual beer is a one of a kind. Craft beer has been described in many ways, but always makes the day feel a little bit better. Each beer contains the creativity and passion of its maker and the complexity of its ingredients. Now is the best time to be a beer lover. On average each person in America lives within 10 miles of a brewery and there are more beer styles and brands than ever before. In the United States there are over 3,000 breweries responsible for some of the best beers in the world and most are small, independent craft brewers. Each one has its own successes and challenges, but all enjoy the support of beer lovers around the world. 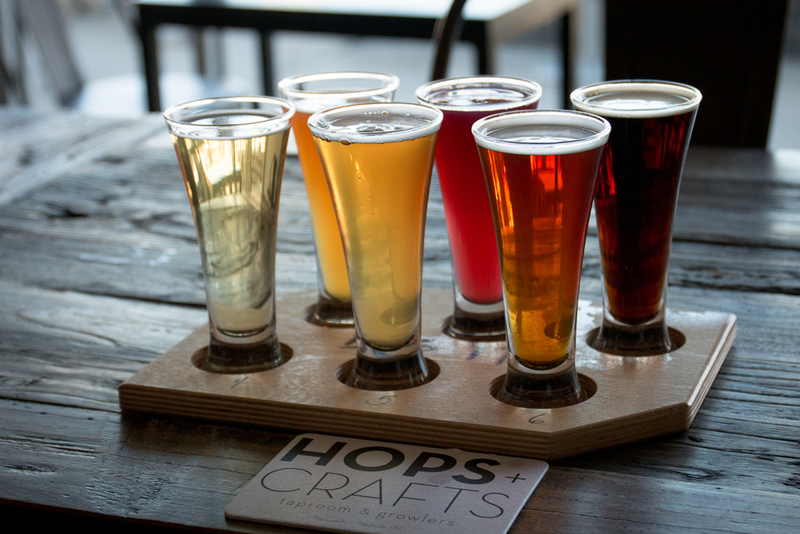 Hops & Crafts brings the local varieties of craft beers from the region offering IPAs, pale ales, lagers, pilsners, wheat beers, ambers, blondes and other specialty flavors. New beers are added regularly and you can sample them all. 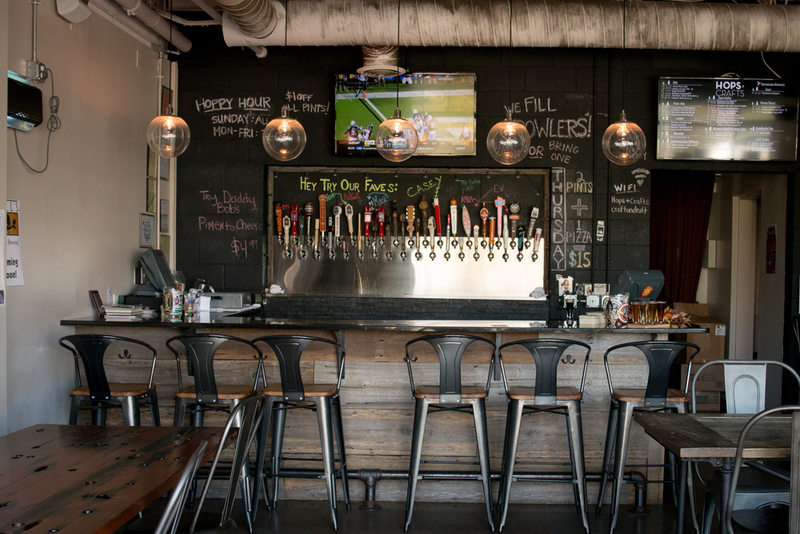 Stop by today and see why ‘Draft Magazine’ named us as one of the best beer bars in America. Check Us Out On Untappd To See What Others Are Enjoying. Follow us on Facebook and Twitter to find out new beers on tap & any special events we have planned! Made from scratch, hand tossed, whole wheat pizza dough with homemade sauce, from right here in Nashville. Geadello's pizza only uses the freshest and finest ingredients. You won't believe it is whole wheat. Locally made by Toney's here in Nashville! Be sure to ask which salsas we have available today! Either Roasted Red, Green with Envy or Morita Divine. Smooth and creamy hummus produced by Toney's here in Nashville! Be sure to ask what new and exciting flavors we have in stock, as we will always be trying out new flavors. Nothing goes better with a refreshing beer than a big, soft pretzel, and that is just what you will get with this pretzel. Be sure to try it with Moo Shine Beer Cheese...You won't be disappointed! Small batch pimento cheese. Handcrafted in Tennessee. **Free parking in the Turnip Truck parking lot.